Your own voice will likely become food retailers’ and restaurants’ most significant focus over the next little while. Voice searches are increasingly becoming the norm. A recent study suggests that more than 20% of all online restaurant searches within Canada are now voice activated. To a lesser extent, grocery shopping is also done through these devices. Since the likes of Siri, Cortana, Alexa, and Google Assistant have entered our world, voice searching has become a game-changer for the food industry. The main reason is convenience. Short of having our own personal robot, this is the new frontier of affordable personalized assistance. These virtual assistants will offer us advice as well as perform tasks for consumers. They are, of course, the “voices” of data-obsessed companies such as Apple, Microsoft, Amazon, and Google. These companies have been connecting with us for years through many devices, including phones, tablets, and even video game consoles. Consumers now use voice search as they conduct other activities, like driving. Search results have a high purchase intent, so for businesses, being the result from a search can be highly profitable. The same rule applies for the food industry. Voice search assistance will filter through brand awareness, perceptions, biases, and many other things we are subconsciously influenced by. Voice recognition is really about data and algorithms. It is about connecting with the market in a way few grocers or restaurants have done. Case in point: we are still receiving grocery flyers every week to sell us food. Voice assistance allows all of us to see through all the marketing noise and find what we really want. The average Canadian consumer is exposed to over 1,500 advertisements per day, many of which are about food. Food service and retail options are often overlooked by consumers for a variety of biased reasons and perceived flaws. Algorithms and data will cut straight through preconceived notions about food choices and will open a world of possibilities for many companies. A recent survey shows that 68% of consumers search by cuisine or food item rather than by restaurant or franchise name. In other words, voice searches will enable curiosity. What is making most players in the food industry loose sleep is the fact that Amazon, Google, Microsoft, and Apple are tech savvy and data-centric organizations, more so than most companies in the agri-food sector. Voice assistance is purely an extension of what they have been doing for quite some time, just without the typing. In fact, research suggests that many consumers would rather talk than type. According to a U.S.-based survey, 30% of web browsing sessions will be done without a screen by the year 2020. This trend can only increase the pressure on grocers and restaurants to comply with a changing marketplace. 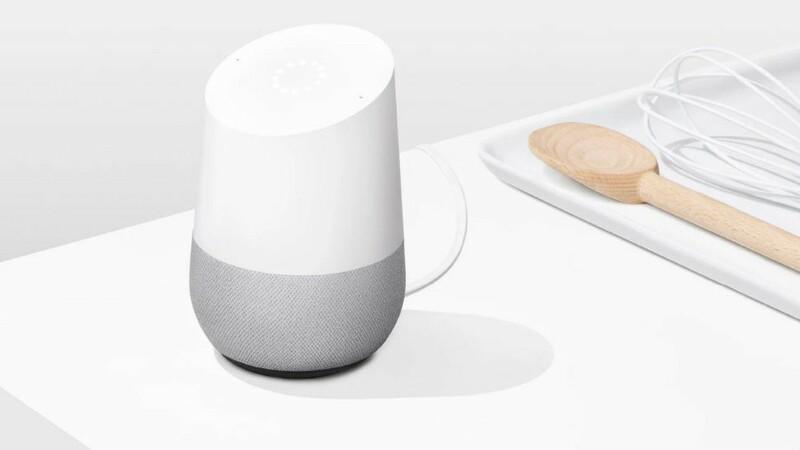 Google has been investing heavily in voice-activated searches since 2016. Amazon, Microsoft, and Apple have likely invested in technologies which offer consumers a portal to many new possibilities. This is a field the food industry will need to embrace quickly. With the rise of domestic, voice-enabled assistance, people don’t need to view a screen to get an answer as all the data is captured from websites and web-based data. Mobile-friendly, responsive websites are going to be key. Since consumers rely on voice assistance and smartphones for most of their voice searches, a fully-functional website will be more critical than most of the marketing dollars being spent on antiquated flyers, posters, and ads. Instead of going through flyers, many of us could potentially browse through weekly bargains with the help of voice-activated searches. So much more civilized. Even local businesses can generate more business if using the right strategy. In the end, these changes are all about data. It is about how we manage and exchange data. Embracing this new reality for the food industry won’t be easy, but the cost of doing nothing will be significant. Professor, Food Distribution and Policy, Dalhousie University.